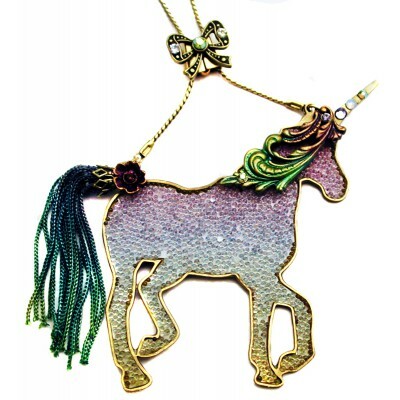 Michal Negrin signed Unicorn lariat pendant necklace. 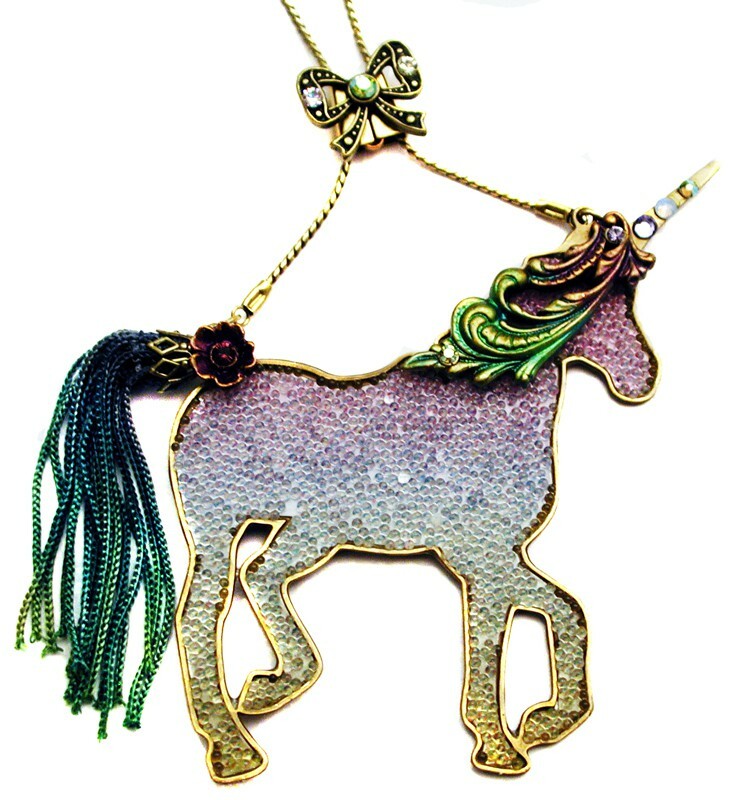 With purple and green Swarovski crystals. The pendant measures approx. 2.6 inches wide and 2.5 inch high.